As Russia gears up for largest military drills since Cold War, Israeli air authority warns of serious delays to flights. The Russian military is expected to hold its largest war games since the breakup of the Soviet Union in 1991, something Israel’s airport authority warns could cause significant disruptions in air traffic to and from Israeli airports. The Kremlin has planned a series of military exercises in multiple theaters, beginning with a joint air and naval drill in the Mediterranean, which began over the weekend. The Mediterranean war games, which the Kremlin warned would be “dangerous” and cause disruptions for air and sea traffic, are set to conclude Saturday night. Beginning on September 11th and ending September 15th, the Russian military will conduct a second series of drills, dubbed “Vostok 2018”. The war games will involve some 36,000 tanks and as many as 300,000 troops – making September’s military drills Russia’s largest since 1981. While the Vostok 2018 portion of the drills are to be held in Siberia and along the Chinese and Mongolian frontiers, this week’s war games in the Mediterranean are already having an impact on Israeli travelers as the busy the holiday travel season begins. Over the weekend, a Kremlin spokesperson warned that Russia’s war games in the eastern Mediterranean would pose a danger to sea and air traffic, forcing airliners and commercial vessels to alter their normal routes this week. On Tuesday, the Israel Airports Authority warned that flights to and from Israel would be affected by the Russian exercise, as planes are force to reroute. 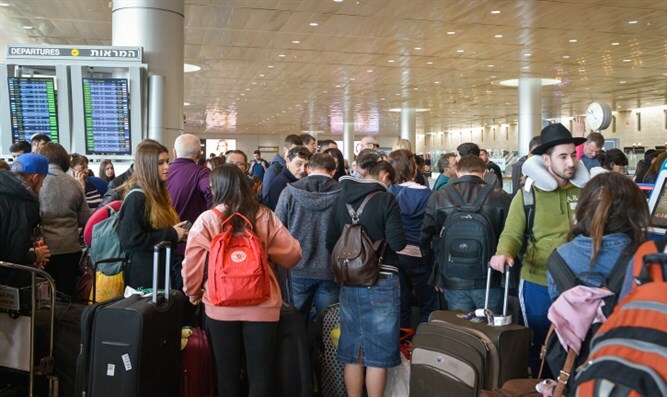 More than 90,000 passengers are expected to pass through Ben Gurion International Airport alone on Wednesday with 588 incoming and outgoing flights. On Thursday, the number of passengers is expected to rise to 107,000 on 650 flights. An additional 30,000 travelers are expected to fly from Israel to Ukraine just before the Rosh Hashannah holiday for the annual Uman pilgrimage.